Inspired by the classic American restaurant from the 50’s and 60’s, The Grill focuses on updated versions of iconic dishes. 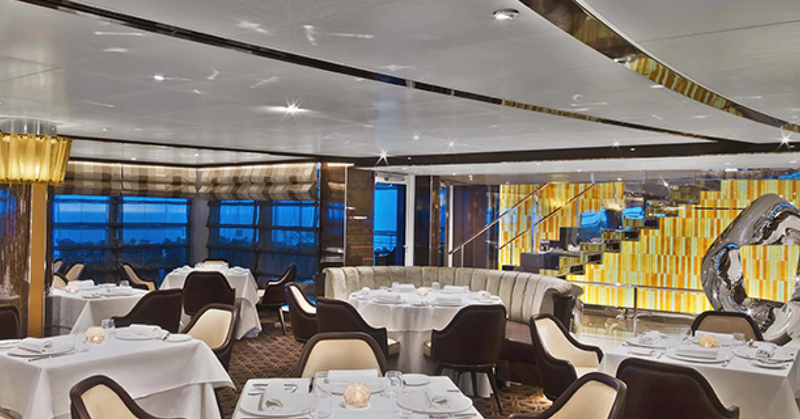 The Grill is a unique culinary concept for Chef Keller, exclusive to Seabourn. Guests setting foot inside the elegant dining room will be treated to table-side preparations of Caesar salad and ice cream sundaes as well as a range of other steakhouse favorites like Lobster Thermidor and creamed spinach, presented a la carte. The timeless menu will draw on the freshest products from artisan purveyors. A cocktail program and wine list of domestic and old-world labels complement the menu. Dining reservations for The Grill by Thomas Keller can be requested up to 15 days prior to sailing, subject to availability. Due to high demand, you can make one reservation per cruise only.